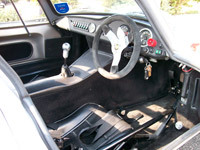 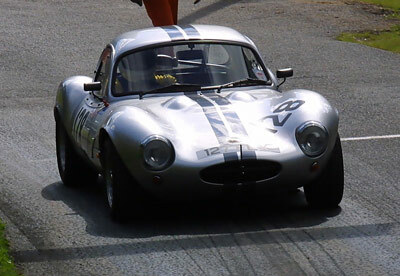 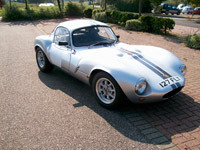 This car has competed in numerous Ginetta sprint championship event. 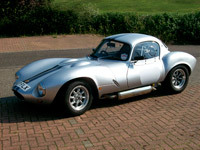 It is a very well known car with a lot of history and is one of the highest spec cars we have made. 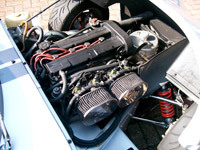 At the heart is a 2 liter Ford Zetec Dare built race engine with 224 hp (camed for torque) many internal modifications and race parts, it is on Webber injection and with a Dare race exhaust system and silencer, a light weight fly wheel and hydraulic clutch, a Quaife alloy cased close ratio gearbox, a Quaife limited slip diff., alloy shock absorbers with up-rated springs, vented front disks and 4 pot calipers, Stack rev counter, FIA master switch and a race roll over bar. 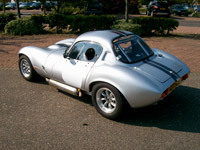 It is a wide rear body with 7 inch wheels and 6 inch at the front; fitted with Yokohama's and with a very recent re-spray, the car looks like new. 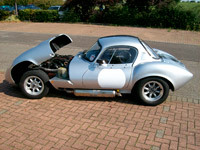 All of this and it is registered (with a personal plate) MOT and taxed.